Audition day was a magical day, just as it is every year. The courage of the thirty plus people who walked into that room and shared their deepest thoughts with us blew us away. The stories were breathtaking and heartbreaking and funny and deep and universal. We had to pick ten. We are forever grateful to have heard each and every one. Show day is Sunday, May 12, 2019 at 7:00 p.m. Don’t miss these stories!! When Stacey and I sat down to update the audition poster for this year we had to take a minute and count backwards. This was what, the seventh show? Maybe the eighth? Wrong wrong and, much like parenting, time is slipping by and all the kids are growing up while we somehow remain, in our minds at least, the same as ever. 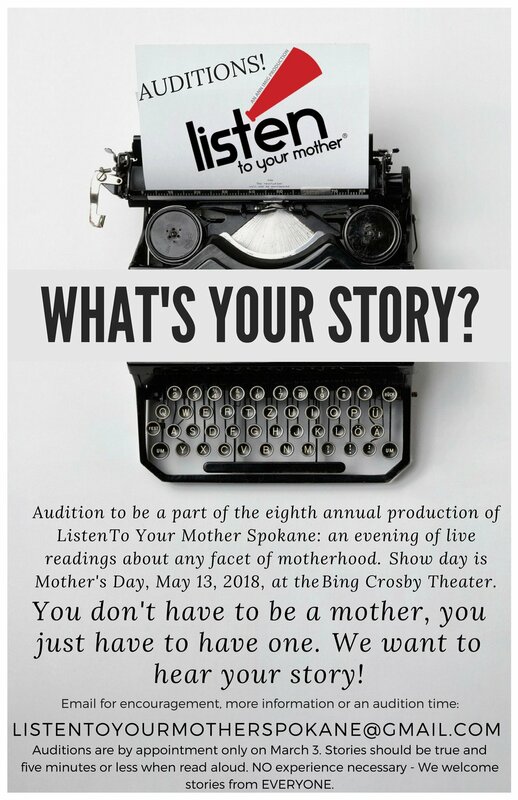 We are thrilled to announce that auditions for the NINTH annual Listen To Your Mother Spokane will be (by appointment only) held on February 16th at the Downtown Library. It has been quite a year for both of our families with struggles, failures and triumphs. Our households grew: some of us added children, others a Leopard Gecko and a hamster named Creampuff. You decide who the better citizen of humanity is. Breakthroughs were made: we took our annual end of year tubing trip and Stacey uttered words I never thought I would hear: “I am actually not freezing right now.” If you know Stacey you know that unless she is in the direct sun and close to the Equator she is usually cold, so this was quite a declaration. 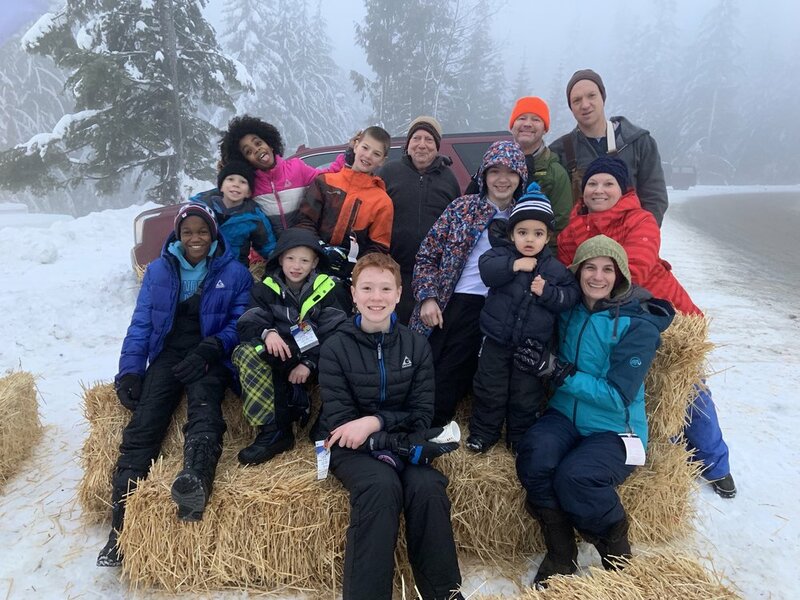 Middle School was entered: our three eldest trapsed into the next phase of their lives with complaints and zits and body odor, with insights, with passions their with the hopes (of their parents) that they all move out of the house in the next 5-8 years. As the kids grow and daily life reorients to thoughts of careers and futures with less time making sure no one is eating legos, we have begun to think about the future of LTYM in Spokane and while no decisions have been made and this will NOT be out last year, well, let’s just say that if you have been putting off auditioning for “another year or two until I’m ready” STOP. Do it this year. For reals. You have the date. You have the details. (And if you don’t just head over to the “auditions” section of our website”). You have a story. We can’t wait to hear it!